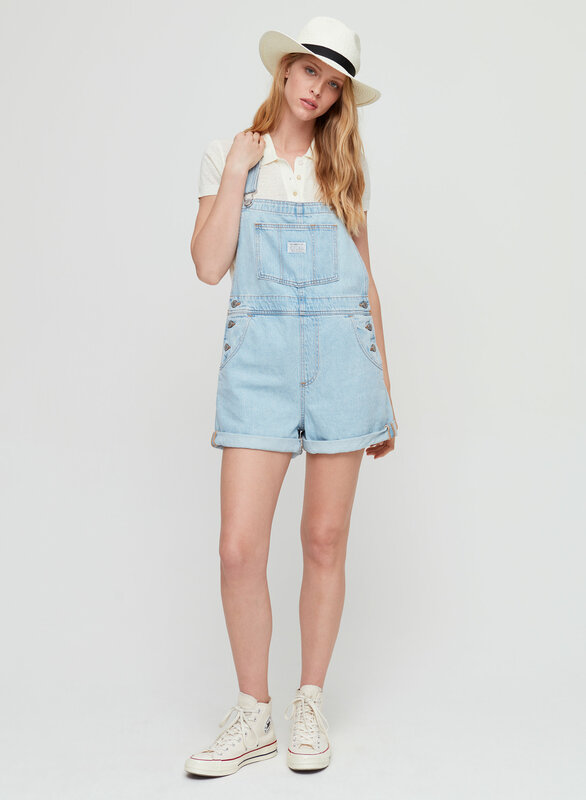 Styled with tayla knit top and bavaro fedora . 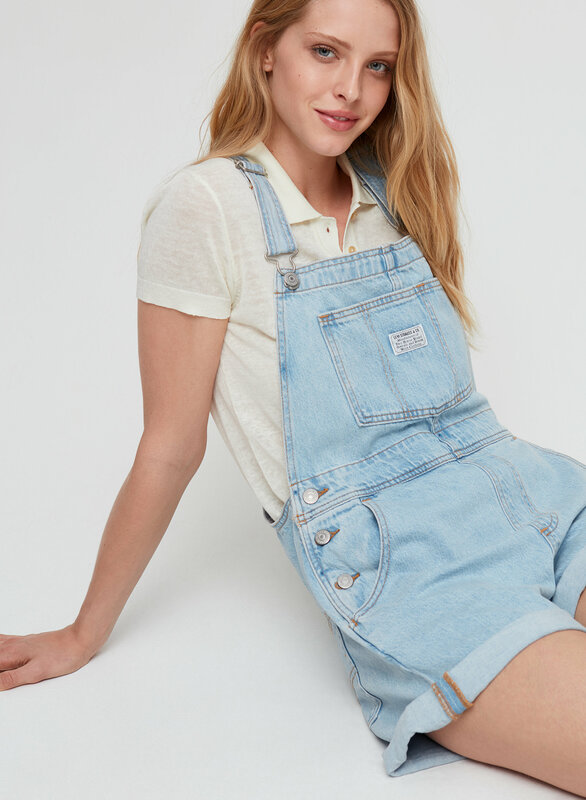 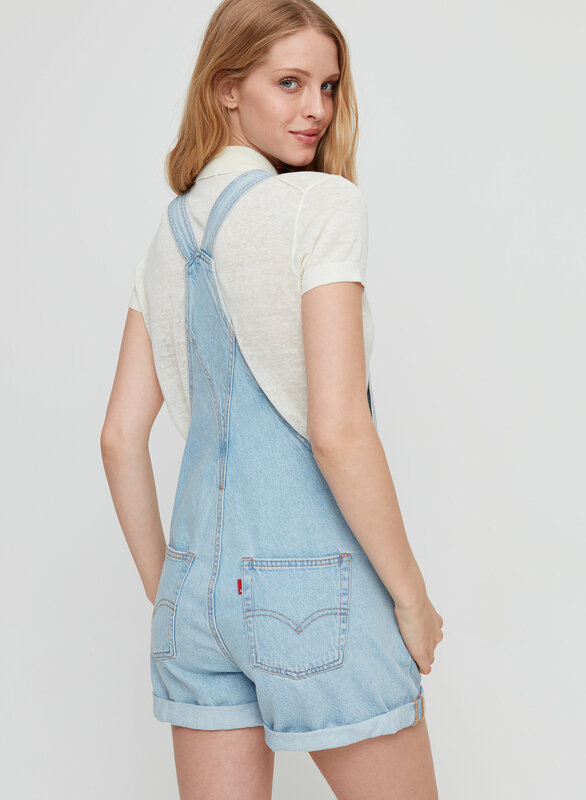 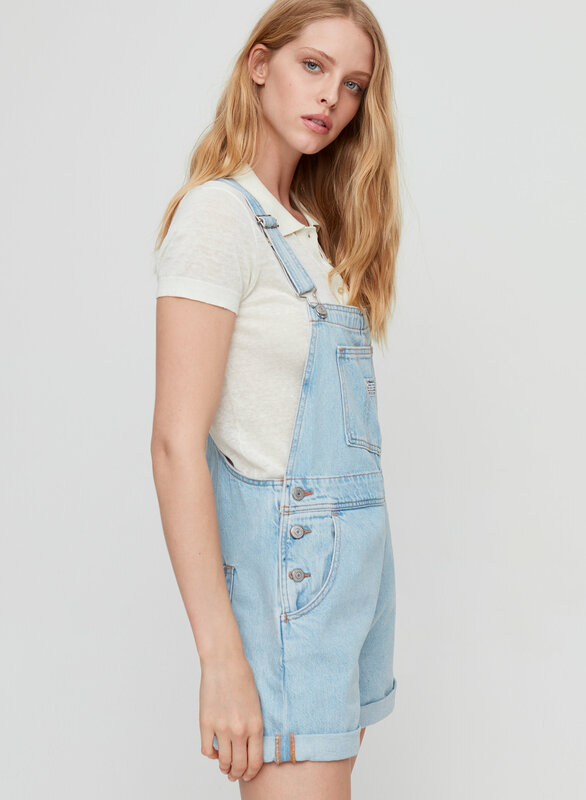 Denim overall shorts — they're back. 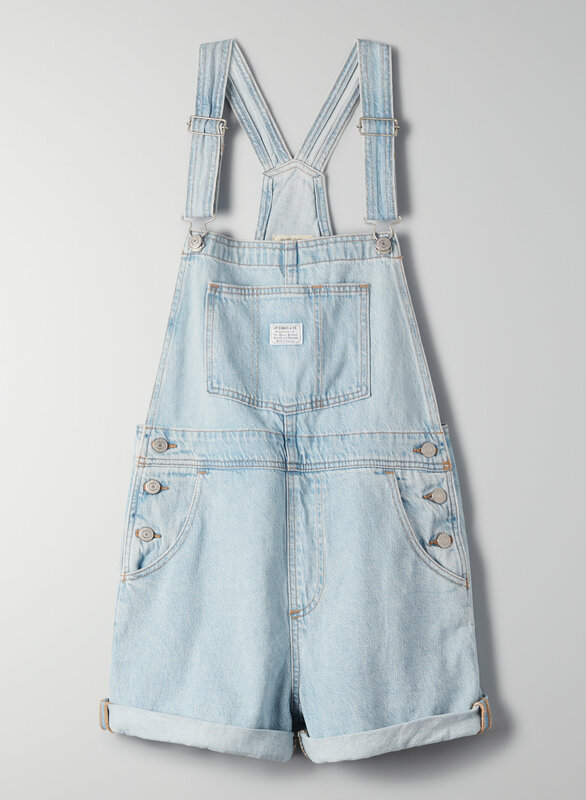 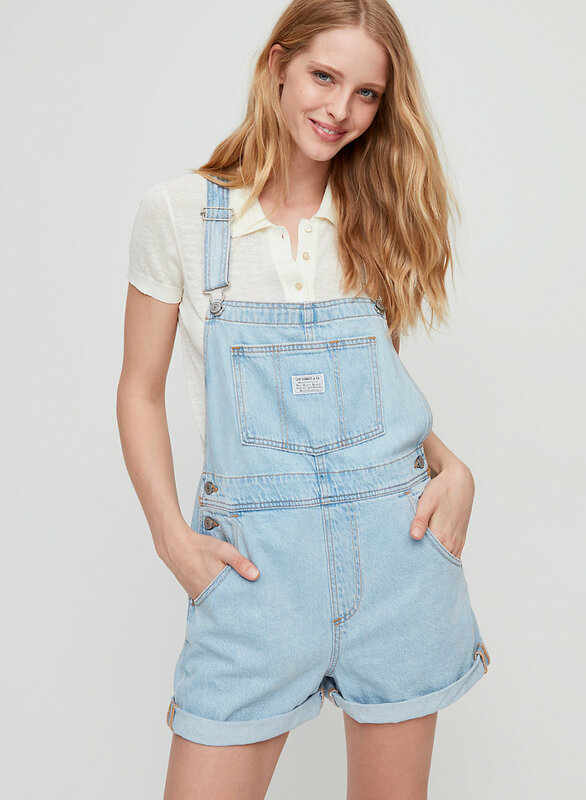 Levi's® Vintage Shortall is a jean-short overall made of sturdy denim.